You couldn’t have picked a more perfect place to be introduced to the gothic gospel spirituals of Toronto’s Bruce Peninsula than under an open sky as the sun began to set across a farmer’s field, as I did last August at the Dog Day Afternoon festival. Sounding both fresh and unmeasurably old, the eleven-piece choir/blues band hybrid made an indelible first impression in that unique setting I figured would be nearly impossible to match. And yet they did a few months later in the more conventional environs of Lee’s Palace and once again in a couple weeks at The Horseshoe. Obviously, as special as that Dog Day performance was, Bruce Peninsula were not dependent on their environs to work their magic. But what of the studio? It’s hard enough to capture the chemistry of live performance on tape for a conventional band – how about one that’s as much an old-time revival show or gospel choir as a band? Amazingly, it sounds like they’ve done it. Listening to some still-rough/unmastered versions of their debut album, A Mountain Is A Mouth, I’m immediately reminded not only of the energy and intensity of their live shows, but also the mystery and sense of distance – spatial and chronal – that I didn’t think could be experienced indoors, let alone from speakers. And the clarity of all the voices and instruments, not necessarily something you get live, is also astonishing. Whoever recorded this thing did a hell of a job. The record is still being polished up (but hopefully not too much) for a release sometime this Fall on a home still to be named/determined, but in the meantime the band have released a 7″ of two traditional folk recordings (from the Alan Lomax archives) that also capture the sound of the band, if not their songwriting. Both sides are streaming at the band’s MySpace (along with a track from the album) but I suspect it doesn’t sound quite the same over the internet as it would on record, with the added dimension of crackles, or live, with the added dimension of crickets. I missed the release show for the 7″ a few weeks back in the perfect setting of the Toronto Islands as I was at a rained-out picnic but while they’re currently on tour in Eastern Canada, the band have a couple of local shows coming up. First, on August 9, they’ll be at the Whippersnapper Gallery with The Got To Get Got and One Heart Many Hands and then on August 22 they’re at The Horseshoe with Cuff The Duke and The D’Urbervilles. Both are absolutely worth your notice, but if you’re leaning towards the much-smaller (and hotter – I don’t think they have AC) Whippersnapper show, then pay attention. Courtesy of No Shame, I’ve got a pair of passes to give away for the show. To enter, email me at contests AT chromewaves.net with “I want to visit the Bruce Peninsula” in the subject line and your full name in the body. Contest closes at midnight, August 4 and if you don’t win, I highly recommended ponying up the $8 in advance for a ticket. Ottawa’s Angela Desveaux will release her second album The Mighty Ship on September 9 and play the nifty Boat on September 4. Update: Now MP3-enhanced! There’s a track from Giant Sand’s new record proVisions available to grab. It’s out September 2. Exclaim! reviews and chats with Fleet Foxes. Drowned In Sound and Velocity Weekly go hunting for Grizzly Bear, come away with interviews. Grizzly Bear are opening up for Radiohead at the Molson Amphitheatre on August 15. Exclaim featurettes The Hold Steady. Liz Phair gives Billboard a notion of where she’s going with her next album. Well, certainly can’t be worse than anywhere she’s already been. Daytrotter sessions up with Sons & Daughters, who will play day two of V Fest on September 7. Pitchfork interviews Jarvis Cocker, video camera in hand. So I’m out of town for the long weekend starting tomorrow – going to the greater Washington DC area to visit family – so I’ll be pretty much offline the whole time. Play safe, see you in August. Apologies for the mid-week housecleaning post, but real life is winning the battle for my brain right now and I can’t really think at the moment. Billboard has details on the eighth volume of Bob Dylan’s consistently wonderful Bootleg Series – Tell Tale Signs, which covers has rarities and live recordings from his recent works will be out October 7 in a standard two CD or four LP set or in a fancy pants, super-pricey three disc set that comes with a hardcover book. Details at the pre-order site. Dylan is at Copps in Hamilton on August 20. Daytrotter is featuring the tracks from a session with Margot & The Nuclear So And Sos that aren’t going to appear on their just-released The Daytrotter Sessions EP, which is available for sale (!) at the usual online outlets as well as at Think Indie-affiliated retail outlets. Call this set the Not Daytrotter Sessions, and between the two of them, they’re your best opportunity get acquainted with their new material before they roll into the Horseshoe on August 6. The new album(s) Animal! and Not Animal will be released on October 7. The Cleveland Free Times talks about the strange arrangement about the release of the album(s) with frontman Richard Edwards. The Phoenix talks to Wolf Parade, in town at the Kool Haus on August 9. Pitchfork interviews Constantines, set to play day one of V Fest, September 6 on the Toronto Islands. Two Hours Traffic are back – again – for a show at Lee’s Palace on September 26, tickets $8.50. Those boys certainly do come through town a lot, though this time there’s a bit of an ulterior motive for being here… perhaps hoping to drive back to PEI with a giant cheque in the trunk? Exclaim!, AOL Music Canada and Dose.ca profile Broken Social soloist Brendan Canning. He also gives Pitchfork a guest list of stuffs. And there’s another track from Something For All Of Us… available for grabsies. The Awkward Stage, whose Slimming Mirrors, Flattering Lights I reviewed last month, have created a video for every song on the album viewable at YouTube. Chart also has an interview. The Long Blondes talk to Chart about how, circa Couples, none of them are couples any longer. The band is currently in drydock as guitarist Dorian Cox is still recovering from a stroke earlier this Summer. Thanks to Antville for pointing the way to the winner of the contest to make a video for Lightspeed Champion’s “Everyone I Know Is Listening To Crunk”. Super-cute. The Montreal Gazette talks to Radiohead’s Colin Greenwood. Radiohead are at the Molson Amphitheatre on August 15. The Charlatans show at the Mod Club on October 10 has been cancelled. That listing lasted just long enough to get me sort of excited about the show. Thanks a lot. NME, via YouTube, has a rather frank post-gig analysis with My Bloody Valentine in Benicassim. They’re at the Ricoh Coliseum on September 25. Using the MBV reunion as a launching point, Exclaim! attempts to chart the history and legacy of shoegazing. M83 have a new video. They’re at the Opera House on November 20. I’m thinking about getting an iPhone. Is that stupid? I need a cellphone plan that’s more flexible than my current by-the-minute one since I’ve ditched my landline. I also need a new phone. I would like to not have to carry around a cellphone, PDA and iPod as I currently do. I would like to have it sync tidily with my Mac. I would not like to be locked into a 3-year contract with a company as on-the-record evil as Rogers (I’d go with Fido – minor/negligible diff but their evenings start earlier) but my objections to them are more in principle than anything. I could handle the contract term and cost without much difficulty. And it’s so shiny. Thoughts? When it comes to multi-day, acronym-ed, club-hopping music festivals I think that coming away with one new discovery that genuinely excites is a pretty good return for all the pavement pounding that inevitably goes into it. I’m not talking about acts that are already familiar or favoured, but ones that you take a chance on based on a single song or a couple MySpace streams. For me, this past NxNE, that honour went to London, England’s 6 Day Riot. While I didn’t pick up any of their releases at the show – something I regretted a couple hours later when I realized I was still humming their songs – I rectified that posthaste, acquiring both a copy of their debut 2007 full-length Folie a Deux and their new EP Bring On The Waves, which is currently available in physical form from the band (not sure where else) and will be available digitally on iTunes and such as of August 11. Consequently the two records kind of blur into one in my mind and impressions are relative to either. Building their ornate folk-pop compositions from blueprints loosely translated from Baltic and Gallic languages, the first reference points that come to mind might be the likes of Beirut or DeVotchKa (more the former than the latter) but the sprightly execution and crystalline vocals of singer/guitarist Tamara Schlesinger, often accompanied on harmony by co-conspirator Soren Bonke, set them apart as their own band. Their repertoire is divided up between boisterous clap/sing/stomp/dance-alongs and more pensive numbers, all arranged and executed beautifully and with a melodic skill and ingenuity that would be impressive from much more seasoned bands, let alone one so tender. And while the prevailing mood is jubilant, closer inspection of the lyrics reveal that even behind the widest smile there can be heartfelt sadness. I’m reminded again of the packed Cameron House where the band played their official NxNE gig (Chart checked in when they played at Pearson Airport earlier in the fest), how most everyone in the tiny room seemed as enraptured with the band’s performance as I was – people were being turned away at the door – and am thankful that the band was apparently as taken with Canada as we with them. Besides dedicating the lead track on the new EP to us (“Go! Canada”), they’ve promised to return as soon as possible. But in the meantime, they’ve graciously offered up a copy of Bring On The Waves on CD to give away to one lucky reader. If you’d like it, email me at contests AT chromewaves.net with “I want to riot for six days” in the subject line and your full mailing address in the body. Contest is open to anyone, anywhere, and will close in… get ready for it… six days. At midnight, August 4. Rioting in the interim is optional. I’m sure this tour was booked before the support act went off and got herself nominated for one of them Mercury Prizes, but expect no one to miss the opener when Johnny Flynn and Laura Marling play the Rivoli on October 4 (same night at Nuit Blanche! ), tickets $10.50. But even pre-nomination, Marling had been getting a steadily growing amount of buzz reaching back before SxSW whereas the first I’d heard of Flynn was this tour announcement, though a copy of his new Hong Kong Cemetry EP happened to show up in my mailbox yesterday and a little digging has revealed that he’s also played with Emmy The Great so that’s a few (thousand) points in his favour right there. His new album A Larum is getting a North American release today, no idea when Marling’s Alas, I Cannot Swim will be released domestically though I’m sure someone’s trying to make it happen (though I doubt it’ll be cheaper than the import price linked above) Update: It’ll be out August 19 via Astralwerks. Anyway, between the two of them there’s little doubt that the tiny room at the Rivoli will be packed to the gills, so if you’re thinking about going, buying tickets early – they’re on sale Thursday – is recommended. Marling is featured at The Times and The Sydney Morning Herald while NPR has a session available to stream. Laura Marling is also associated with/a sometime member of cheery UK folk-pop outfit Noah & The Whale, whose own debut Peaceful, the World Lays me Down will get a North American release on September 16, following its UK release next month. BBC and The Times have features on the outfit. And speaking of Emmy The Great, it seems there’s some sort-of/sort-of-not material from First Love – due out September-ish – available to stream at her MySpace. Have I mentioned lately just how much I’m looking forward to this record? Yes? Okay. Also anticipated but out considerably sooner – as in today – is Neil Halstead’s second solo record Oh! Mighty Engine. He’s not in town anytime soon, per se, but will be at Burl’s Creek Park in Oro, Ontario on Sunday with Jack Johnson, if you really want to see him. Yeah, didn’t think so. You can stream the whole record at Spinner.com and if you didn’t already, grab the first MP3 to play over and over and over again. Via Music Snobbery, another Mercury Prize nominee is coming to to town – Rachel Unthank & The Winterset, who will bring their nominated record The Bairns to Hugh’s Room on September 23. Accompanying Liam Finn at the El Mocambo on October 4 will be The Veils. NPR is streaming a Fleet Foxes session at the World Cafe with legendary producer Steve Lillywhite. If you hadn’t heard, the band had to cancel out of their show at the Phoenix a couple weeks ago, citing exhaustion though apparently the one day off did wonders for them as they met all their Pitchfork Festival-related commitments… hopefully they’ll be rescheduling that sooner rather than later. Le Blogotheque gets all Takeaway Show with El Perro Del Mar and Lykke Li, the latter of whom will release Youth Novels on August 19 and is at the Mod Club on October 24. Call it a bait and switch of the best kind. Saturday night’s soiree at Sneaky Dee’s was billed as a Miracle Fortress show – perfectly logical, considering last year’s Polaris finalist had the highest profile of the four bands on the bill, and were certainly the draw for me who hadn’t seen them since Pop Montreal last year. But upon arrival, it was revealed the final two acts had swapped slots, and that the Fortress of Miracles would be the penultimate act while Graham Van Pelt’s other band – Think About Life – would close things out. This was an eminently logical decision – those who were there to see the “big” band would get to do so that much sooner and be on their way that much sooner, and TAL’s fierce live reputation would be a difficult, if not impossible, to follow. But hey, what’s a little headliner haggling amongst family? And it was a family affair, with three of the four bands sharing members including the first act up, Adam & The Amethysts with 50% Miracle Fortress personnel. I wrote up their debut Amethyst Amulet last week and while to say they did a fine job of reproducing their musical travelogue to Thunder Bay may sound like faint praise, it’s not intended as such. It’s quite a good record and that the four-piece was able to reproduce the little tics and details so well is no mean feat. A longer set would have been nice, but there was much to get through this night. The only non-MF related band on the bill was Ruby Coast, who drew a large and rowdy contingent from their hometown down for a night in the big city (Aurora is a suburb north of Toronto). Their spirited set ably demonstrated the perks and downfalls of being exceptionally young (fresh out of high school). On the pro side, they demonstrated terrific energy and a musicianship that was miles ahead of anyone I knew in a band when I was in high school. On the con side, they wore their influences very clearly on their sleeves, and those influences read a little too much like their north-of-Toronto peers. Take the sprightly, pop-punk of Tokyo Police Club and mix in some of the Born Ruffians’ idiosyncrasies and you’re pretty much there, though there’s a latent potential there that if nurtured properly could see them blossom into something entirely their own. But with TPC frontman David Monks supervising the re-recording of their debut EP, that’s not likely to happen in the immediate future. Good thing they’re still young. Ruby Coast were featured in this week’s eye and will be at the Horseshoe on August 6 opening for Margot & The Nuclear So and So’s. Miracle Fortress’ set began as the project originally did – with Graham Van Pelt solo, surrounded by noisemaking toys. Since turning the project into a live proposition, there’ve been some growing pains as the grandiose sonics of Five Roses were adapted to a conventional band format – the first few shows I saw weren’t entirely successful, but they were definitely getting better each time. Now it seems that they’ve gone in the other direction, adapting the band – now a five-piece – to serve the original vision of the songs. Or at least that’s what I perceived, it’s entirely possible that I’m making stuff up. Either way, Van Pelt looked as comfortable up there as I’ve seen them so however they’ve done it, they’ve grown into quite a decent live act. Their set blended old material and new and reminded that even though Five Roses is only just over a year old, some new work would be greatly appreciated. It was also a bit shorter than I’d have expected, but hey – the weren’t the headliner anymore and Van Pelt needed to save some energy for the nightcap. I didn’t get too far into Think About Life’s self-titled debut when I gave it a spin a few years ago, don’t rightly recall why but it was probably too noisy and frantic for my tastes. And though it sort of goes against what I was saying a couple weeks ago, it took until I saw them live to get why their fans are so devout – it gives them all an opportunity to mosh like it’s 1994 again. From note one, the crowd was going nuts, frontman Martin Cesar was going nuts and I was thankful for my relatively well-protected position wedged between a PA speaker and bass bin. If anyone was going to smash into me, they were going to smash into a very large, heavy and fixed speaker cabinet first. But beyond the utter chaos of the performance, the band actually sounded better than I remember from the recording. The lo-fi (lack of) sheen was gone and the power of the band, even without their bassist, and strength of Cesar’s vocals, even while pogoing around the stage and into the audience, was much more evident. After a set that was so exhausting to watch I couldn’t imagine actually having to perform it, the audience still called the band back for an encore, testing the structural integrity of Sneaky Dees’ floor for one more song. Amazingly it held up, and while I’m not hunting down another copy of the album, I might well go and see them live again. After I’ve made sure my life insurance is paid up. ArtistDirect discusses cursing and income with Aimee Mann. A note – in a PR email the other day, I saw Aimee’s August 28 show with Squeeze listed as being at the Danforth Music Hall. Every other listing I’ve seen still says it’s at the Kool Haus, but if you’re the paranoid type, I’d suggest double-checking the venue before heading out. The News & Observer talks to She & Him’s Zooey Deschanel. Filter also offers a profile. This week The Interface and NPR feature sessions with Mates Of State. They’re at Lee’s Palace next Monday night. Also on NPR is a stream of last week’s Spiritualized show in Washington DC, while The Chicago Sun-Times offers up an interview. Apparently the serenity of last year’s Acoustic Mainlines tour has been jettisoned in favour of volume. Lots of it. Bring your earplugs when they play V Fest day one on September 6. Blurt has an interview with living legend Ray Davies. The Hold Steady gives The New York Times a run-down of what’s tickling their eardrums these days. Which is to say, what they’re listening to. It’s a long way from Auckland, New Zealand to Brooklyn, USA – possibly as long a way as is geographically possible – but listening to the second album from Kiwis The Ruby Suns, it’s difficult not to draw lines from them to New York’s Grizzly Bear. They share a similar aesthetic of landscapes where the reverb hangs like thick veils of fog and drifty, dreamy pop that’s in no hurry to get anywhere. Though fronted by an American ex-pat, the Ruby Suns have a distinctive South Pacific vibe to them, from exotic percussion instruments to the point of some songs being sung in Maori. Like a lava lamp, the mood and style shifts from playful pop to mysterious folk to just plain strange without crossing the line into inaccessible or inscrutable. It’s just a good trip. 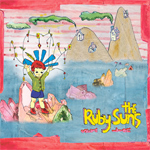 The Ruby Suns are at the Mod Club on August 2 with Tilly & The Wall. 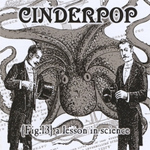 Vancouver’s Cinderpop practically comes with a “File under: power pop” label tattooed on their foreheads, but to assume that pigeonhole tells the whole story is to do them a tremendous disservice. Within their third album’s compact 13 songs, they draw from almost fifty years of rock music – though paying particular attention to the best aspects of ’70s songcraft – and do it masterfully. It’s ground that’s been well-covered, but when it’s done as well as this, you may as well be hearing it for the first time. Melodically gorgeous, it’s reminiscent of The Posies less the ’90s grunge-era production and with a higher synth quotient. Quite possibly the reigning title-holder of “best thing I’ve picked off my shelf at random and put into my CD player”. Recommended if you like: music.